When Siri was added to the iPhone 4S late last year, some would argue that the face of interactive computing technology was changed forever. Some would argue that Apple unleashed a gimmick that nobody in their right minds would use past the initial week of the novelty factor. Whichever side of the fence you sit on, and we keep flip-flopping ourselves, then you must admit that when it works, Siri is some seriously impressive technology. Being able to have what feels like a very real conversation with a piece of technology should not be underrated as an impressive technological feat, but is it really that useful in its current form? Regardless of the answer to that question, many were clambering to have Apple add Siri support to the new iPad, but alas they were to be disappointed. Desktop computers are also on the agenda if you listen to those who want Siri to take over their lives, but so far Apple has not taken the step of liberating Siri from its iPhone prison, but a new patent application may suggest that Siri is on its way to other devices, thanks to a pairing method that would see Siri live on an iPhone, but then be jacked into a second device. 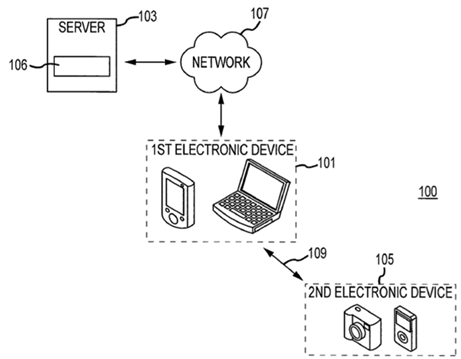 The two devices listed as possibilities in that patent application? Both desktop and notebook computers. The patent itself points out that the paired device would not need storage, a microphone or indeed speakers because those are provided by the iPhone itself. No real processing power would be needed either, with Siri being handled on Apple’s own servers. All this suggests to us that something other than a computer could be getting the benefit of Siri. 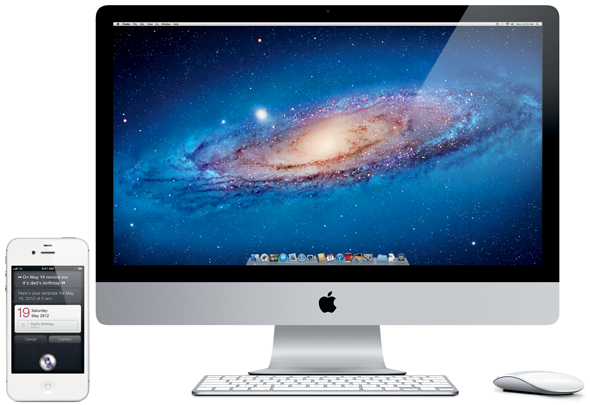 Perhaps, dare we say it, an Apple Television? Other new features included in the patent application include the ability to distinguish between users based on the sound of their voice, something that would be a God-send for those that wish to have user accounts added to the iPad, or again, perhaps an Apple Television. Imagine, if you will, talking to your TV and it instantly recognizing your voice. Channels are filtered to show the ones you like to watch, volume settings are how you want them and all your iTunes content floats to the top of a list. It’s an interesting proposition, even if the majority of Apple’s patent applications never find their way into a real, shipping product.